The ability to block out the noise and focus on a specific task is a crucial skill in daily life. Now, researchers at the University of Missouri have found that early childhood, before the age of 10, represents a critical time when children with autism have particular difficulty with this ability and would benefit from intervention addressing this weakness. "Here is a cognitive difficulty that is more apparent during one age than another," Christ said. "Now we can say there is a time period when these children may benefit from an intervention that focuses on accommodating or helping them overcome this difficulty. This could have a significant impact on their academic and social success. They may not need that same intervention later on in life." 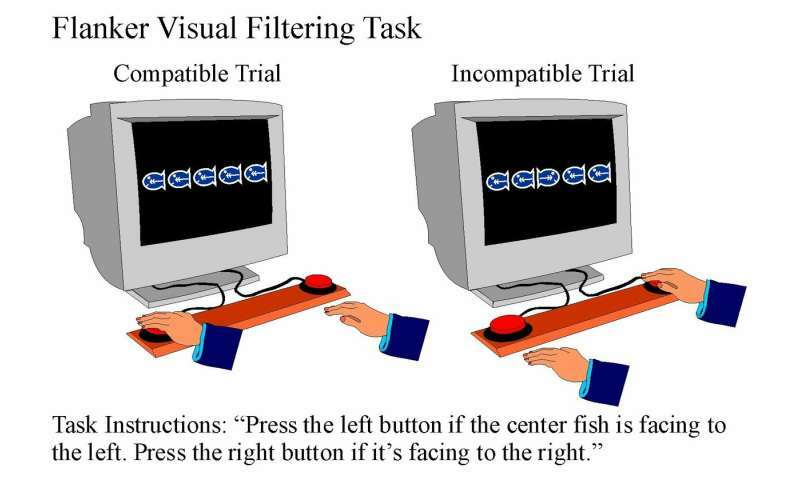 Researchers presented 80 adolescents, ages 11 to 20, with a visual filtering task. Participants were asked to respond as quickly as possible to a visual target while ignoring visual distractions close to the target's location. Of the 80 participants in the study, 36 had autism. "In our studies, we have observed differences in filtering ability between children with and without autism at younger ages such as 8-10 years old," Christ said. "This is the time when kids are starting with more advanced topics in school, and can be a very difficult time for a child with filtering difficulties. It could be disrupting their ability to comprehend reading and affecting other kinds of skills, such as math. But the difficulty is not with reading or math, it's a difficulty with attention and inhibitory control, and there are ways to overcome that." Researchers suggest simple interventions to help children overcome this difficulty such as using a reading window on a page that blocks the visual distraction of the other words, making a quiet room available at school to accomplish tasks, or minimizing visual distractions at home. Christ and his team look to continue this research in a future study involving reading comprehension tests as well as a future study using an MRI at the MU Brain Imaging Center to measure patterns of brain activation in children with and without autism. The study, "Brief Report: Flanker Visual Filtering Ability in Older Adolescents with Autism Spectrum Disorder," was published in the Journal of Autism and Developmental Disorders.